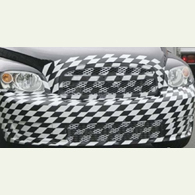 (autoinsidernews) - A Chevrolet marketing executive confirmed that the automaker is working on an SS version of its HHR (see HHR spy shots and more here). Cheryl Catton, director of car marketing and retail integration for Chevrolet, told Automotive News at the South Florida International Auto Show that the HHR SS gives buyers, one more option to think about when they walk in. While it is unknown exactly what will power the HHR SS, the loudest rumor says that the HHR SS will be powered by the same 260-hp 2.0L turbocharged, direct-injection four that will be seen in the Pontiac Solstice GXP and the Saturn Sky Red Line. And with the front-mount intercooler, that seem to be the only option that makes sense, reports Trend.